Site of one of the first lighthouses in California, the headland of Point Conception marks the junction of Northern and Southern California. 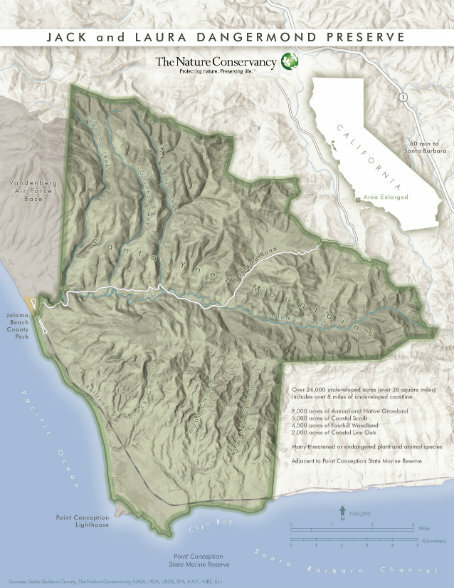 A $165 million gift, the largest in Nature Conservancy history, transforms a renowned California rancho from a lucrative development site into a unique haven. Good news for the environment comes from California today, and from a part of the state very near the hillsides that have suffered the economic and environmental devastation of the recent wildfires. 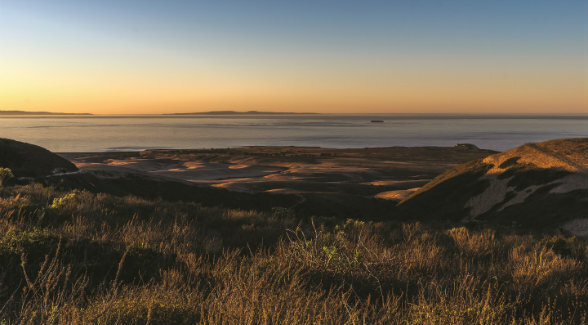 A renowned tract of undeveloped California coastal land totaling more than 24,000 acres, or about 38 square miles, has been purchased by The Nature Conservancy (TNC) for permanent preservation, thanks to a $165 million donation by a wealthy tech-industry couple. The donation, the largest single gift TNC has ever received, is significant in its immediate effects, and it has the potential to matter even more through the longer-term example it aspires to set. Fifty years ago, Jack and Laura Dangermond car camped during their honeymoon on the very land they would donate to The Nature Conservancy. “We were just kids, and that was our first connection to realizing it was a special place,” Jack says. The tract will be called the Jack and Laura Dangermond Preserve. It has been informally known as the Bixby Ranch, after the family that owned it and a lot more of Southern California starting in the late 1800s. 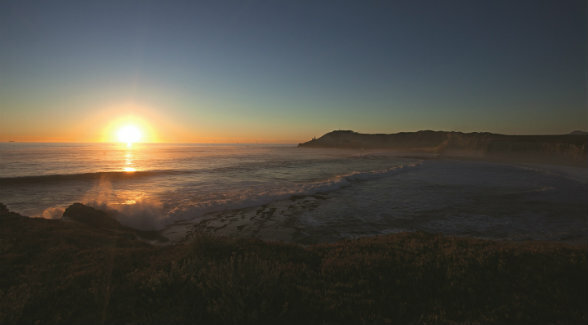 (More recently the land has been known as the Cojo and Jalama ranches.) Cattle have grazed here since the ranch’s founding, but the land still very much has the look and the ecological characteristics of the wild. Crucially, it has never been subdivided, converted to malls or mansions, or otherwise commercially developed. With today’s announcement, it never will be — a different outcome than many conservationists feared over the past decade, when the land was owned by a Boston fund that has specialized in coastal-development projects. 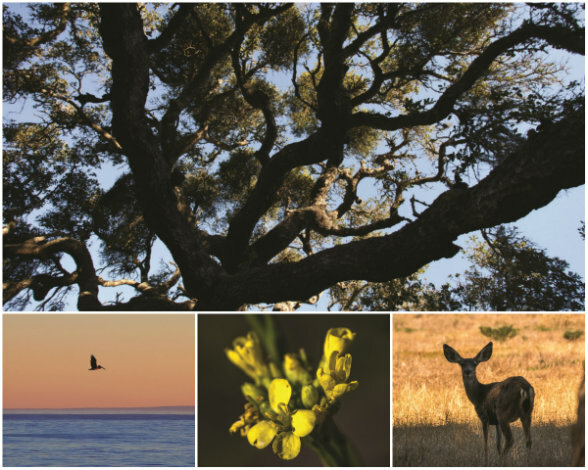 The rugged terrain includes more than 2,000 acres of coastal live-oak stands containing an estimated 1 million trees. The TNC representatives I spoke with about this nature preserve, along with Jack Dangermond himself, were careful to say nothing whatsoever about these previous owners. But the group’s identity and track record are easy to figure out from online sources. When it bought the ranch for some $136 million 10 years ago, just before the worldwide financial and real-estate crash, its lawyer gave a non-denial denial to local citizens concerned about commercial development. Under terms of the sale, the land could have been broken into more than 100 parcels. But according to Ethan Stewart of the Santa Barbara Independent, the hedge fund’s lawyer said everyone should calm down. After all, he said, his clients “absolutely do not have any specific plans yet for the land.” In the financial and regulatory conditions of the decade that followed, it turned out that they were not able to pursue any. Point Conception is evident on a map as the place where the California coast takes a 90-degree turn. On one side of it, stretching toward Santa Barbara and Ventura and beyond them to Los Angeles, the coast runs nearly east-west. On the other side, heading up toward Monterey and San Francisco, the coast runs mainly north-south. (Immediately north and west of the Dangermond Preserve is Vandenberg Air Force Base, which is still in active use as a launching site for rockets and missiles.) The headland of Point Conception juts out into the Pacific at the corner where the coast makes its turn, with one of the earliest lighthouses built along the California coast. The melting-pot aspect extends even to the waters off the point. 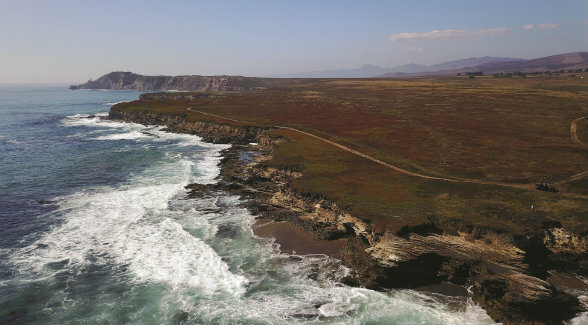 “On the marine side, it is one of the most valuable places on the California coast, because it’s where the cold currents coming down from the north meet the warm currents from the south,” Jack Dangermond told me in a phone interview. 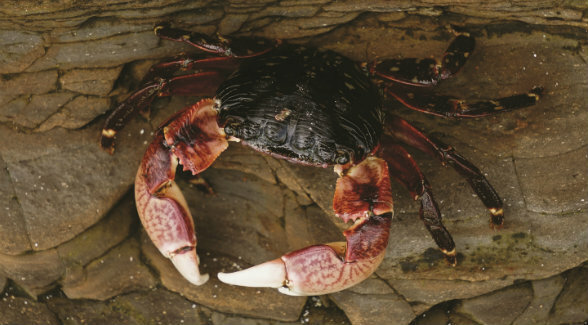 “With this huge mixing, you have a rookery of seals, big whales, all the elements of a hugely diverse marine resource.” A California state marine reserve, established over the past decade, protects fish, sea mammals, and other wildlife in a 22-square-mile area of the waters off Point Conception. “From the seafloor to the ridgetops you have a big protected area, and that is pretty special in the world,” Sweeney said. “Laura and I … became deeply attached to this land a long time ago,” Jack Dangermond said in an all-hands message to the several thousand Esri employees in announcing the purchase. Fifty years earlier, on the Dangermonds’ honeymoon in the late 1960s, they’d driven along the coast in a little car and camped at night in a pup tent. “We were just kids, and that was our first connection to realizing it was a special place,” Jack told me. The Dangermonds’ gift is significant in two ways, the immediate and the longer term. The first effect is what it does directly to preserve habitat. The simple fact is that without this move, sooner or later this ecologically, aesthetically, and even spiritually important land would have been bulldozed away. Now that will not occur. Jack Dangermond told me that his friend E.O. Wilson, the famed biologist, had advanced the idea that “we are innately all ‘biophiliacs’” — that people are drawn to nature even in unconscious ways. “It’s why people keep a little philodendron in their apartment, or have an aquarium, or dogs. People want to feel some connection to nature and the natural living world.” The innate importance of preserving parts of the natural matched the Dangermonds’ own sensibility. Jack grew up in a gardening culture — his father, an immigrant from Holland, was a gardener and ran a small nursery business, and Jack’s original training was in landscape architecture — and he and Laura have made the property around their modest home essentially one big arboretum. But they argue that preservation has a larger consequence. 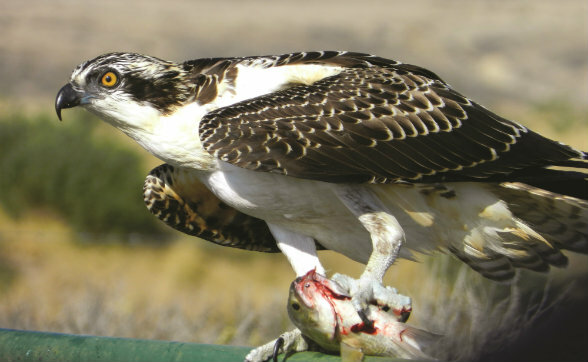 “These natural areas, particularly pristine and intact areas like this one, are so very important, and they are disappearing like crazy,” Jack told me. The Dangermonds’ Esri company specializes in mapping software that, among other functions, allows long-term analysis of geographical trends. 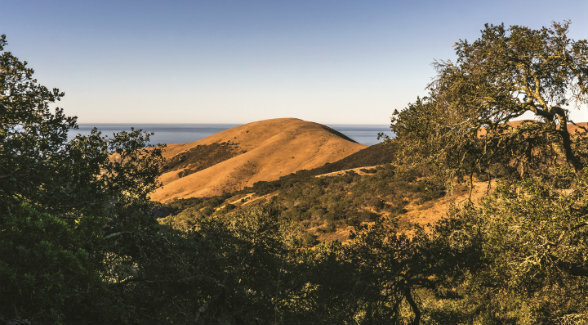 Beyond solace, the Dangermonds hope that UCSB and The Nature Conservancy will together make Point Conception a unique digital-research center for the identification and protection of similarly important and endangered ecological hot spots around the world. They’ll have help from Esri’s software, which they believe will allow them to measure and analyze trends, good and bad, more extensively than in any comparable site. Dangermonds’ wealth is also private. Jack told me that published estimates, in the low to mid billions, are “exaggerated.” Whatever the details, they are people of means. But their previous gifts have been unpublicized and often anonymous. Their names don’t appear at all, or only in fine print, at many of the local institutions they support. In contrast, this tract of land will be the Jack and Laura Dangermond Preserve, and the professor at UCSB will hold the Jack and Laura Dangermond Chair. Why? “There are lots of wealthy people in the tech industry in California and elsewhere,” he said. “America’s wealthy people are flush with money. They’re wondering where to put it”— and the favored emphases of this era’s tech leaders include education and public health. “Those are great! But we haven’t yet seen that kind of commitment to nonpolitical conservation issues.” He gave the example of the Rockefellers, who preserved land in New York, in Maine, in Wyoming, in many other places that eventually adjoined or became part of national or state parks. Will individuals and families make the connection between this large act of philanthropy and the smaller-scale opportunities immediately around them? It’s a lot to expect. But even if the impact of today’s news were, despite the donors’ aspirations, confined to one evocative tract along the California coast, the announcement would be a significant one. It is a gift to the planet and to the future — a dramatically positive move from people with wealth when there’s been so much movement the opposite way. 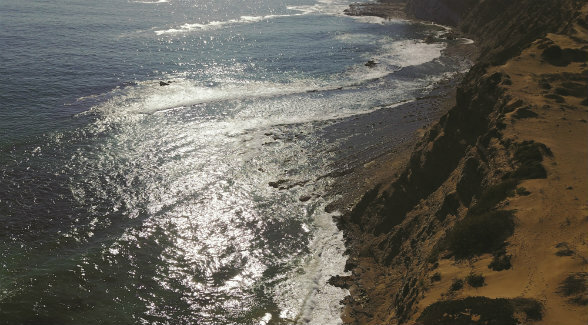 After years of peril, the land surrounding Point Conception will forever be protected. © 2017 The Atlantic Media Co., as first published in The Atlantic Magazine. All rights reserved. Distributed by Tribune Content Agency LLC.